It was in the 1960’s, in Barcelona, when Andrés Sardá decided to create his own company of women’s lingerie. Sardá, a textile engineer, belonged to a family that had been linked to textile industry since the 19th century. He dreamed of bringing his own ray of light to the industry and decided to break with the aesthetically dark conventions of the era. This year represents his 50th in the profession and to celebrate, a tribute has been made in the form of a book entitled Andrés Sardá. Moda, Amor, Arte, that includes the collaboration of Margarita Riviêre, Mercedes Milá, Pedro Mansilla and Marius Carol. Date: from Tuesday the 18th to Sunday the 30th of January. His work has been featured in international magazines such as Vanity Fair, Vogue, and GQ . His commercials for Nina Ricci are infamous for their ethereal beauty. His images have won countless awards and have managed to impress even the most jaded critics in the fashion word with his creativity and flair for the theatrics. 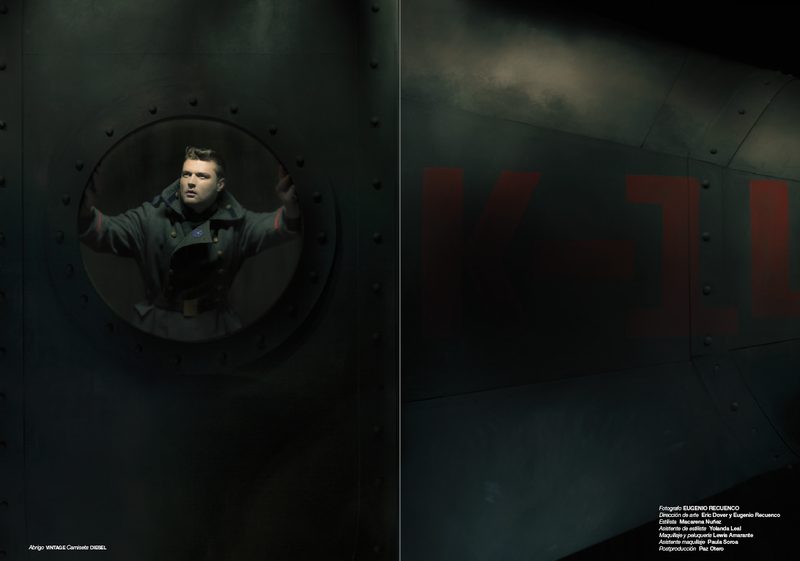 In his latest creative project Eugenio Recuenco, has turned his fashion editorial into voyage 20,000 leagues under the sea for a glimpse of the trapped souls on the ill-fated mission of the SS Kursk. In August in 2000, in the cold waters of the Barents Sea, the submarine KURSK exploded without warning trapping the crew of 118. While some argue the crew died instantly some experts say the crew was able to survive for several days. 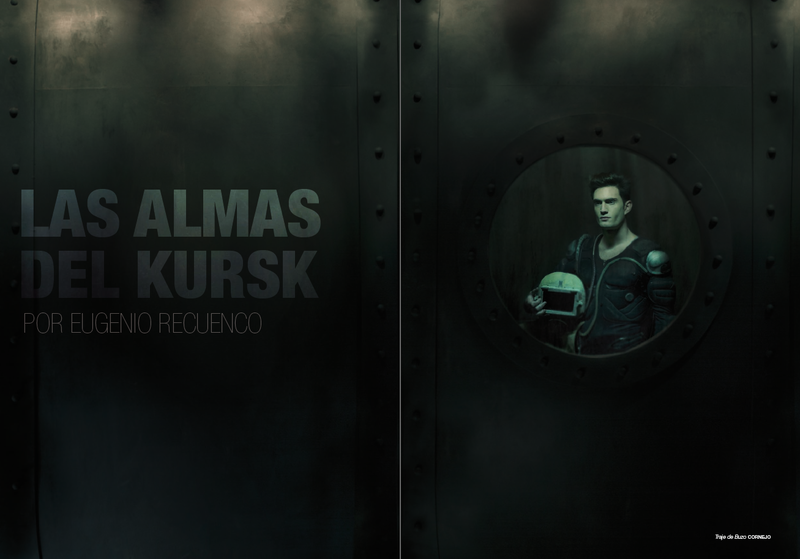 LAS ALMAS DEL KURSK takes a Recuencian look into the untimely demise of the Russian sailors. It is these final moments of the Russian crew, which inspired Recuenco to complete a fashion editorial with the help of Spain’s FASHION DREAM TEAM. To bring his vision to life Mr. Recuenco enlisted the help of Eric Dover, art director for most of Recuenco´s shoots along with stylist Macarena Nuñez and make-up artist Lewis Amarante. The results were an editorial bold in concept and high on art. It is these images that Make Recuenco´s work so fascinating, his ability to turn a tragedy into a beautifully executed conceptual piece is what made Lavazza Calendar come knocking at his door back in 2007. 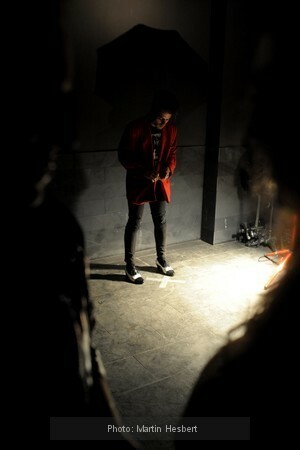 His relentless vision and dedication to his art speaks volumes about his craft. The issue, which hits newsstands this week, is a great example of the power of Recuenco´s work and the unique point of view of Spanish Fashion in the 21st century. To see the complete series of LAS AMAS DE KURSK grab the latest issue of 5 magazine available at newsstands now. 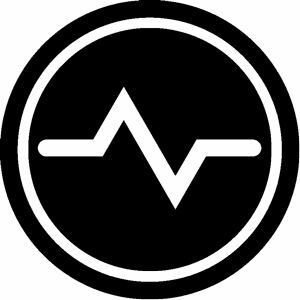 Here at PulsoBCN we get very excited when private companies go out of their way to support and promote new talent. In an age where everyone has Facebook and twitter, Chic & Basic constantly out do themselves in the marketing department. In November, Chic & Basic rolled out special webisodes featuring an inside look at their hotel which was an instant success (available on their Facebook page). This Saturday December 12 Chic & Basic in the Borne, open their doors to Changingroom.org as they present 25 of the most cutting edge designers with special guest artists: CHICKS ON SPEED for an event called FRIO*09. If you are in Barcelona this week stop by the hotel on Saturday and scope out the designers at FRIO*09. Now is your chance to go from room to room and meet the designers as they present their collections in the hotel. With the amount of invites to holiday parties now is the time to pick up something for yourself this holiday season. 1. Filmed in Miami 2. Discovered them on Tom Middleton’s THE TRIP.